This book is no longer available as a single title. It is included in the new volume containing books 1, 2 & 3. Declan Finlay is the best Retriever that Glitnir has. Well, he is now that Connor Strand has gone rogue. He is sent to find Connor - the guilty werewolf. But he doubts that his best friend could ever be guilty and he resolves to track him down and find out why he ran with the renegade vampire. When the Fae Alliance, reporting to Glitnir, demand that he not go alone he is forced to accept the Incubus, Levi Tiernan, an assassin, as his companion on the journey. If Declan doesn't kill Connor, then Levi will. What happens when old lust and love dictate action and suddenly Declan is questioning everything he loves. "....I enjoyed this story and now feel compelled to go back to read the first book on the series. RJ Scott is always a story teller first and a writer of romance second, and never is that distinction more important than in this book. Well done, Ms Scott...."
Literary Nymphs - 4.5/5 - "....RJ Scott has created an intriguing as well as very enjoyable saga. 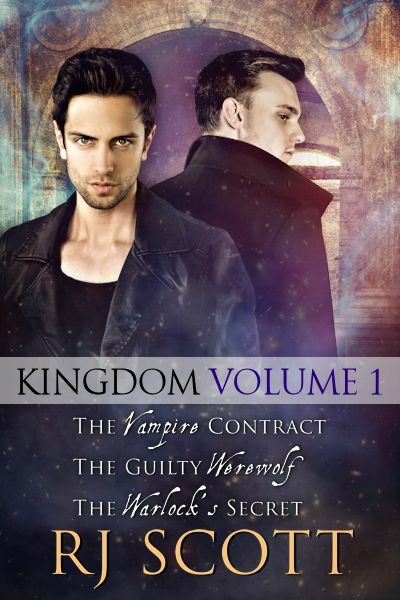 I suggest reading The Vampire Contract first to better appreciate the main theme of this series...."
Hearts On Fire reviews - 4/5 - "....The romance side of the story was well done in true Scott style but this story definitely has a political lean to it which makes it even more enjoyable. The HEA is definitely delivered but the few loose ends left me hungry for the next book in this intriguing series...."
Mrs Condit Reads Books - 4/5 - "....I enjoyed this story and now feel compelled to go back to read the first book on the series. 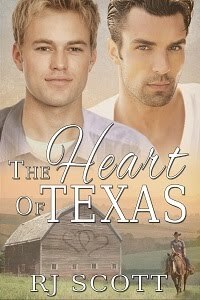 RJ Scott is always a story teller first and a writer of romance second, and never is that distinction more important than in this book. Well done, Ms Scott...."
Joyfully Jay - ".....Conflict makes The Guilty Werewolf magical...."
Sensual Reads - 4.5/5 - "....Exciting and fast paced, The Guilty Werewolf takes us deeper into a world where conspiracies have been lurking for years. It is now that they are unraveling. Declan and Levi feature in The Guilty Werewolf but Connor and Micah are back as well. R.J. Scott has created a whole world for us and each story yields little more information and tempts the reader to keep turning the pages to see what will happen next. The story is far from over and we have many more to look forward to. R.J. Scott is talented writer with a fertile imagination just waiting to be further tapped...."
Declan wanted to be out front and ready to track Phin and it sounded like they were saying their goodbyes. He scented the air and made sure he could get enough of Phin’s smell to mean he could halfway track the little guy. Then he shuffled back as quietly as he could, but stopped when he came up against a warm body. Glancing behind him, Levi was right there and Declan glared at him. Without words he declared his irritability with the Fae. Levi merely stared back with stony focus. Declan leaned in to encourage the damn man to move just as a blade passed through the space his head had been. That slight move forward had been enough to save his life. The knife, small but deadly, embedded itself in the oven unit opposite that he had been using as a mirror. Immediately in defence mode Declan ducked lower and used the mirrored metal to ascertain what the hell was happening. The barman, Abb, stared at the space they were hidden in. No sign of Phin. This was not the optimum place to be holed up in and he glanced behind him to communicate that to his shadow, but there was no sign of Levi. Great. Declan was pretty exposed here and the freaking incubus had abandoned him. He should have known. All that talk about fighting for tradition and Levi was the first to run when things went south. Another knife flew too close for comfort, parting his hair and, by the feel of it, drawing blood. Looking at the beautiful, intricate knives told him one thing; the barman was no mild mannered bear shifter who plied you with alcohol, then took your money. He evidently had mad knife throwing skills. Not a good start for Declan in this whole escaping-with-his-life-intact situation. He heard a thud and cautiously leaned so he could look in the mirrored surface. What he saw had him scrambling to stand. The barman was felled like a tree, dead straight on the floor with his eyes shut and his breathing shallow. Levi loomed over him like some kind of ghostly apparition with wisps of scarlet lingering around him. “What did you do?” Declan asked. Declan blinked at what Levi was saying. Like it didn’t matter the incubus had accidentally taken something from someone. “Will he get it back?” Declan snapped. “Says the animal with teeth and claws,” Levi said dryly.